Dies R Us: Up, Up And Away! Good morning ~ Birgit here with you today. 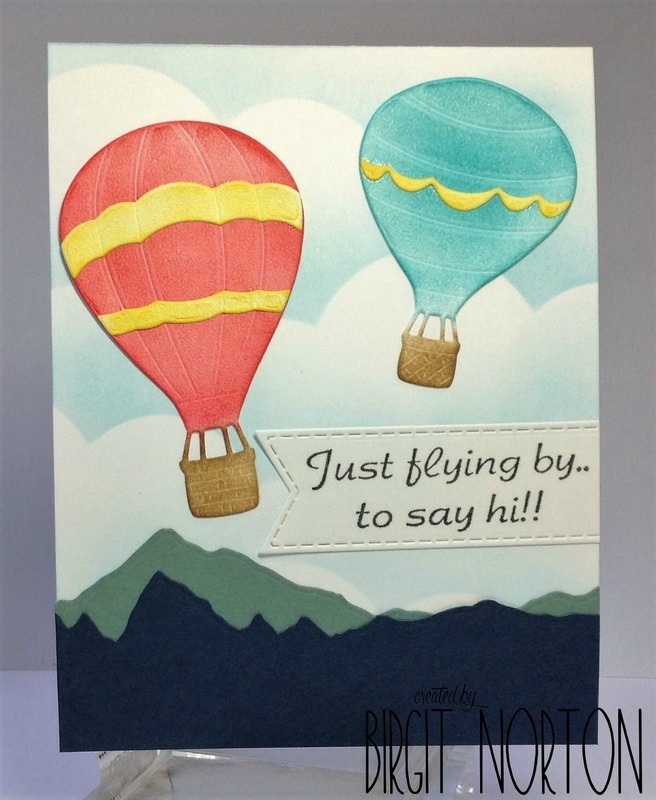 Masculine cards can be challenging for me so when I saw the Hot Air Balloons from Elizabeth Craft Designs, I just knew this would be perfect for a masculine card. 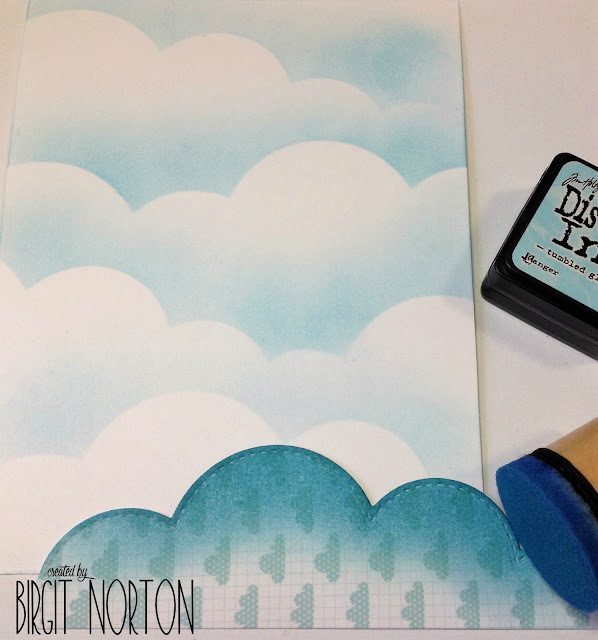 I started by cutting a Lawn Fawn Puffy Cloud die out of a piece of scrap paper and using it as a stencil to create the sky scene using distress ink and a blending tool. Next, I cut two mountain ranges using Impression Obsession Mountain Landscape Layers and layered them over the cloud background. 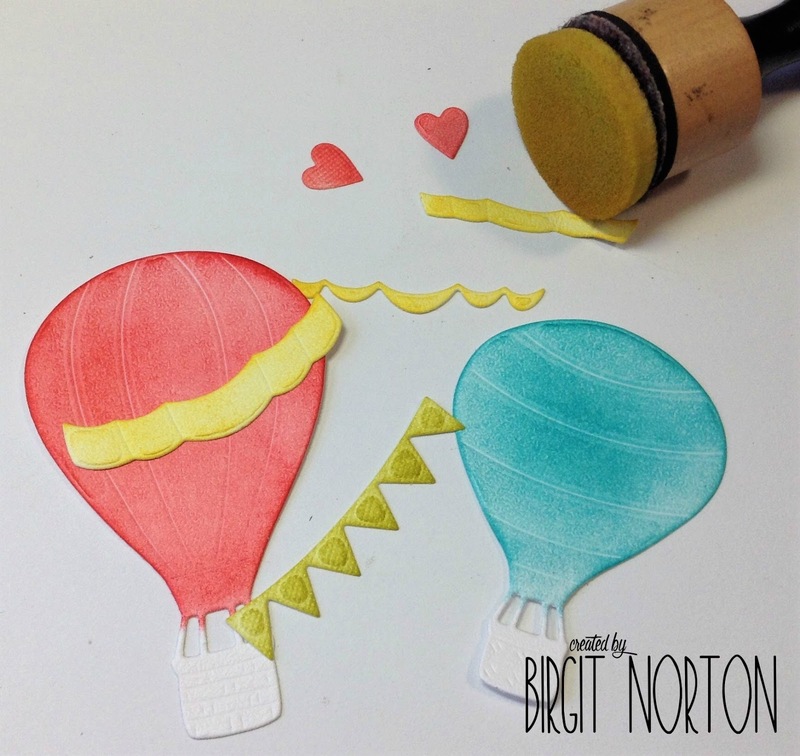 I cut the Elizabeth Craft Designs Hot Air Balloons out of Soft Finish Cardstock and added color using distress inks and a blending tool and assembled the balloons. I used a computer generated sentiment and cut it using an Elizabeth Craft Designs Stitched Fishtail Banner and finished the card off. What a beautiful and serene scene! This is a beautiful card. Those hot Air Balloons are majestic! Love this! Your clouds are awesome with so much dimension to them. Colorful card for various uses. 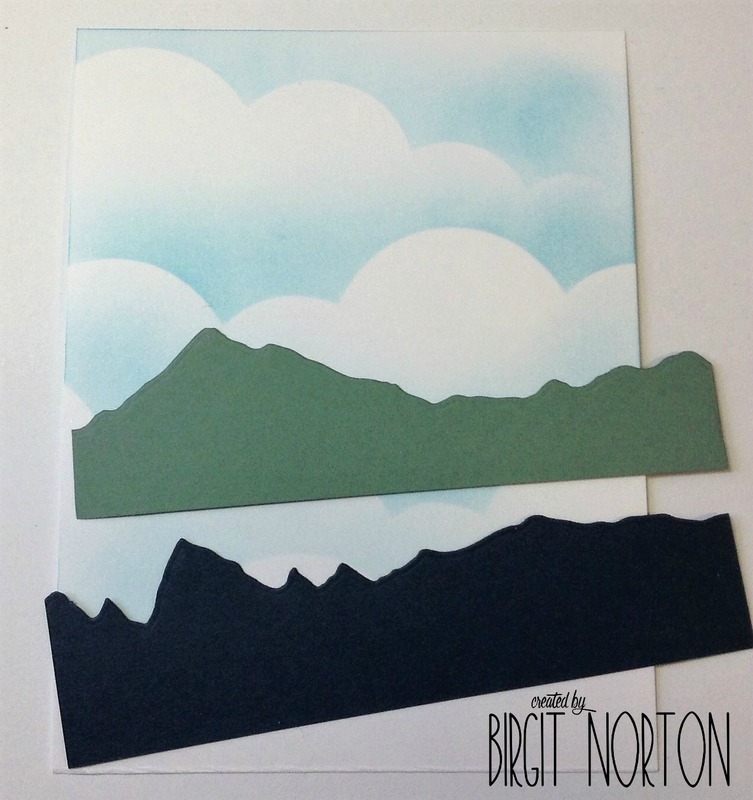 Fun scene with the clouds and mountains for a great background to the balloons! such a great scene and great job inking!